Galleria Ruggerini & Zonca, Milan. 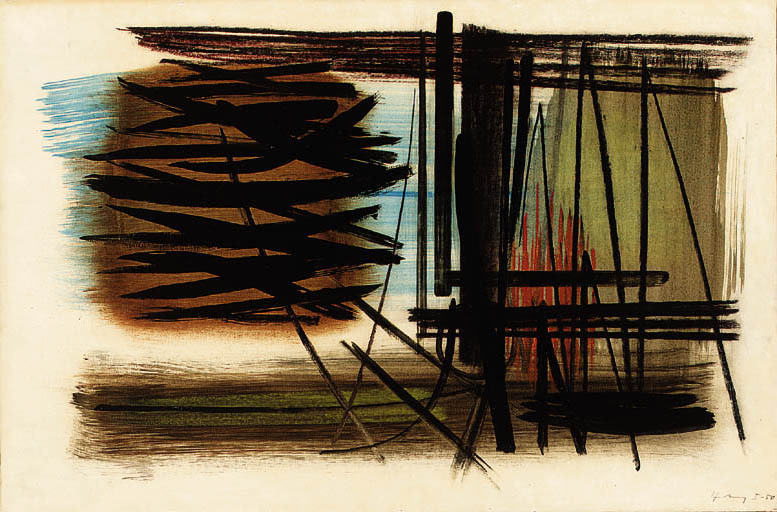 Milan, Galleria Ruggerini & Zonca, Hans Hartung, Opere dal 1949 al 1974, October-December 1990, no. 7. To be included in the forthcoming Hans Hartung catalogue raisonné being prepared by the Foundation Hans Hartung and Eva Bergmann, Antibes. Please note that the present work is titled 'P1950-57' (on the reverse).